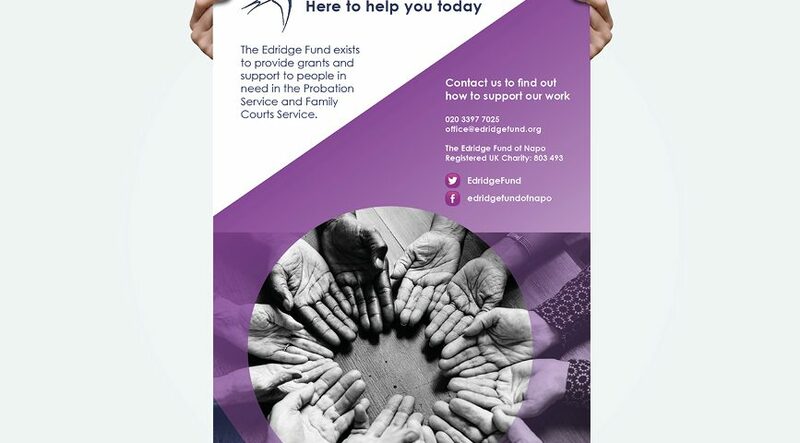 The Edridge Fund exists to provide money and support to people in need in the Probation Service and Family Courts Service. 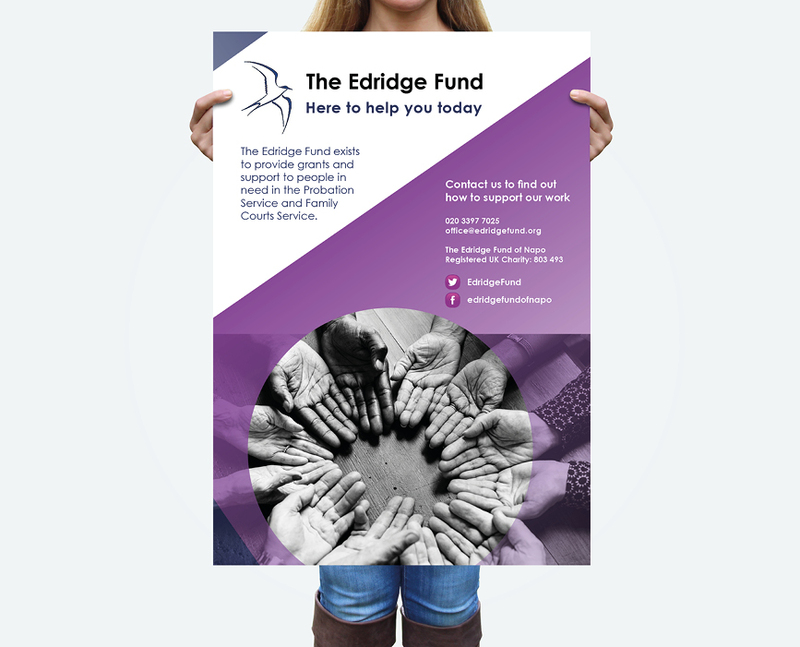 Number Violet were called upon to breathe life into The Edridge Fund brand, which we did by redesigning their promotional materials. 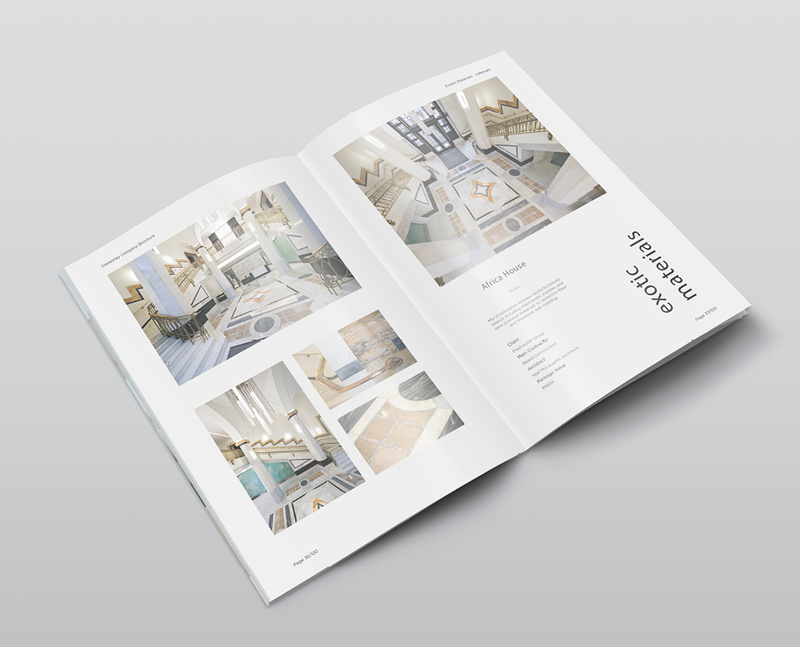 We sampled colours from their new website to provide continuity and replaced a dated brand visual with a new vibrant look. Their new posters and leaflets are being distributed across the UK to raise awareness and encourage charitable giving to the fund.